So last week was fun. 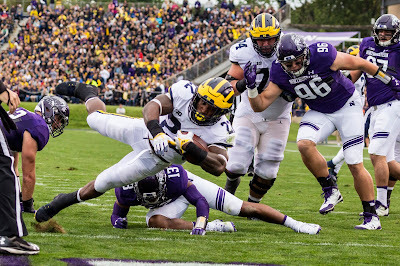 Northwestern plays exactly one inexplicably good game per year that, on paper, they have no business being in (see MSU 2017, OSU 2016, Wisconsin 2015, Notre Dame 2014, etc) and Michigan just survived what was probably the 2018 edition. 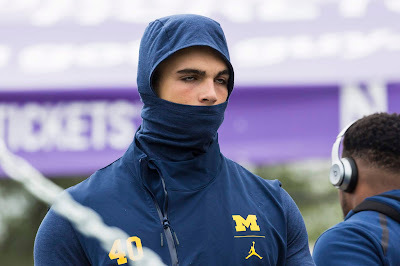 The Northwestern game has always been a stupid one since 2007, but now it's time to turn to a team that Michigan has outscored 122-13 in the Jim Harbaugh era. Maryland will be Michigan's last relatively easy test before entering the gauntlet of the season. Led by interim head coach Matt Canada while interim head coach DJ Durkin is on administrative leave for killing a kid, Maryland currently boasts a confusing 3-1 record. On the one hand, Maryland has an impressive win over #30 Texas (which is sadly the Big Ten's most impressive non-conference win). On the other hand, losing to MAC teams (35-14 to Temple) gets you the cone of shame (cc: Purdue, Northwestern). 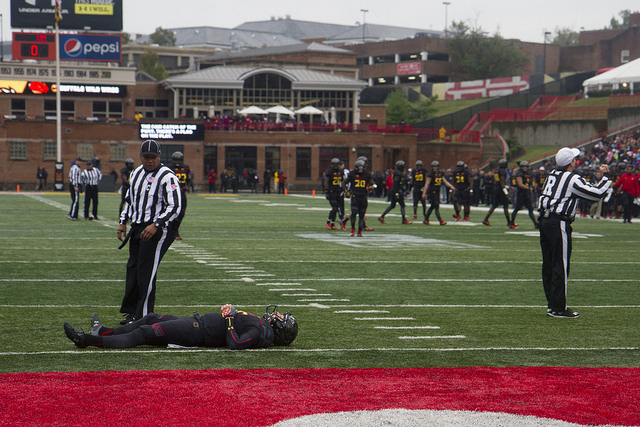 Maryland is coming off a bye just like Northwestern did and will surely have some weird stuff planned for this game. Don't expect another 17-0 hole, though. Hey! Maryland gets their starting QB against Michigan this year! Last year's Maryland squad saw four QBs with at least 10 attempts, and a 1300-yard season from Max Bortenschlager (as a 3rd stringer). This year, Kasim Hill (#11) has surpassed Tyrelle 'Piggy' Pigrome (#3) and has put up 42/76 (55.3%) for 516 yards, 3 TD/1 INT. Maryland's 141.3 passing yards per game comes in at 122nd nationally. This is made up for by the fact that Maryland averages 258.5 rushing yards per game (30th nationally). Maryland's rushing attack is led by Ty Johnson (#24) who has 300 yards on 40 carries (7.5 avg). 81 of these yards came on one touchdown run against Minnesota, though. But behind him is Anthony McFarland (#5) with 291 yards on 27 carries (long of 64) and Tayon Fleet-Davis (#8) with 148 yards on 30 carries and a long of 30. Maryland is ok when it comes to grinding it out on the ground, but their strength in the run game comes from explosive plays. 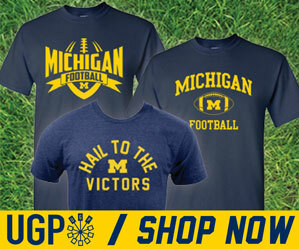 The way they do this is interesting, and MGoBlog's Seth Fisher goes into great detail in his Fee Fi Foe Film analysis. Maryland likes to confuse the defense by running a lot of motions before the snap. And I mean a lot of motion. Northwestern's Clayton Thorson, who Don Brown described as possibly ending up being one of the top 25 passers in Big Ten history, was able to grind out 174 yards by throwing accurately into some tight windows. Maryland doesn't have that same level of passing game which will make their offense more one-dimensional. Their #18 rushing offense would be a problem were it not for the fact that Michigan has the nation's #7 rushing defense. On the last 64 rush attempts against Northwestern and Nebraska, Michigan's defense has surrendered 67 yards. Michigan can sleep soundly knowing that Maryland also lacks a dominant slot ninja, which has been a problem recently. Fun fact, Maryland has a 100% rating in red zone scoring. Also fun fact, Maryland's 14 points against Temple were all from the defense. Can offensive tackle watch begin to phase out as being a thing? Can we move from DEFCON 3 to DEFCON 4 now? Nebraska boasted the #2 team in the country in sacks coming in and last week we said that Gaziano would be one of the toughest defensive ends on Michigan's schedule and Michigan gave up two sacks in these two games. Sure, running headlong into Northwestern's front seven didn't work out spectacularly, but that's a very solid front seven. 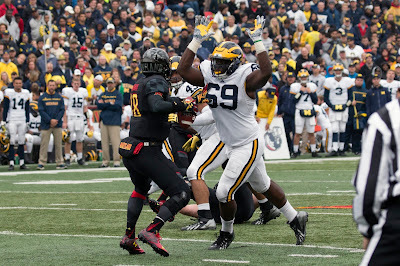 Honestly, this Michigan offensive line is starting to look.... fine? Maryland has the #50 defense in the country per S&P+ and the #18 rushing defense in yards per game (104.0 ypg). This may be a bit inflated by giving up only 15 rushing yards to Bowling Green, the #128 team on S&P+. Their 2.75 sacks per game clocks in at #38 in the country, but it might be worth noting that 4 of these sacks came against Minnesota's #115 offens. The starters on the defensive line are all juniors and seniors, led by Byron Cowart (#9), who has 2 sacks and 2 TFLs on the season and Jessie Aniebonam (#6) who also has 2 sacks. Antoine Brooks Jr (#25) is another dangerman at defensive back who has 26 tackles, 1.5 sacks, and 4.5 TFLs. If Michigan wants to get cheap yards on screens, this is the guy you don't throw towards. Everyone else on defense returns experience, with all the starters being juniors and seniors. Buuuut these juniors and seniors return to a team that finished 2017 ranked 85th in S&P+ on defense. They're an improved squad, but only by so much. Many of their numbers are inflated by the bad offenses they've played (Texas #80, Minnesota #115, Bowling Green # 79, and Temple #102). 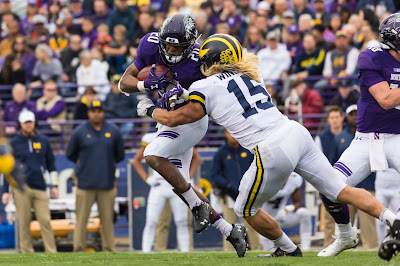 The best Michigan can hope for is to continue where they left off in the second half against Northwestern. The random number generator that predicts Maryland's performance hits whatever digit that Temple game was. Maryland's lowly passing attack get shut down by the secondary and the tricky run game gets Don Brown'd. 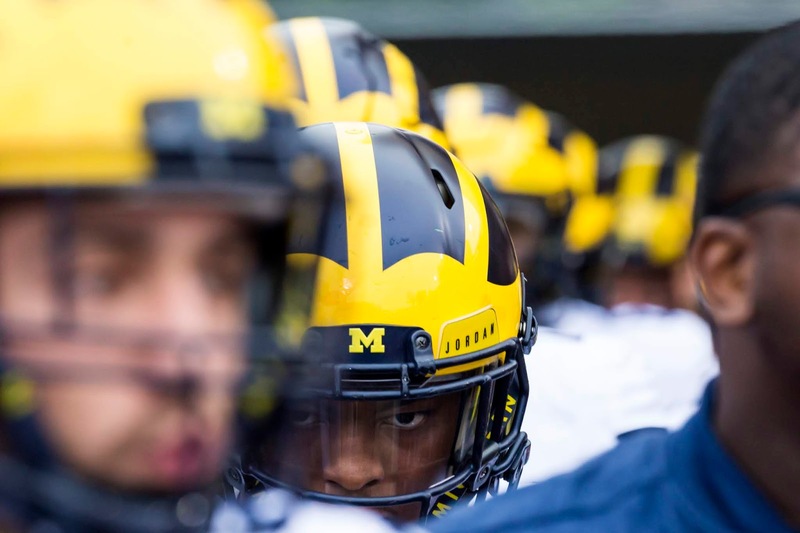 Michigan's offense exploits Maryland's average pass defense and Karan Higdon powers his way through the yardage in between. The random number generator that predicts Maryland's performance hits whatever digit that Texas game was. We see Maryland come out of their bye in a similar way that Northwestern did and burns Michigan with some trick run plays. Michigan's offense tries to grind it out with little success as we've seen at times and doesn't get the chunk yardage required to blow this one away. I know I know, I'm trying to get a score reasonably accurate once this season, don't give me that look. 2014 - There was no game. We were all on vacation.